Receive personal support and feedback during your home study hypnosis, hypnotherapy, intuition and all other training courses. Receive personal support for Transpersonal Hypnotherapy Institute courses by phone and email. Transpersonal Hypnotherapy course includes an optional review of your practice sessions. Just send us your audios. This feedback can be invaluable, given the directors’ extensive experience in the field. 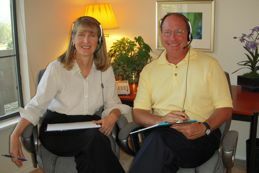 Hypnotherapy Sessions are available by phone or in person with the THI Directors, Anne Salisbury, PhD, NLP, CCHt and Greg Meyerhoff, NLP, CCHt.